Image of the virtual exhibition of modernist covers. The museum libraries attend as many users from the institution itself as external ones, who come to library as researchers, to study art or to get more information about the collections. But it wasn’t always so, due to the fact that initially these types of libraries emerged from the museum’s own activities, so as to provide support in the documentation tasks carried out by their professionals. Over time, and to the extent that their collections grew and as the museums opened up to society, this more restricted character of the libraries was extended to the general public and nowadays they can be considered to be a public service. It is true that they are not always visible enough for the public in general. Nevertheless, the museum libraries have an unarguable relevance for the staff of the institution and also for the society in general, given that they have authentic treasures to which it is necessary to give visibility. Among their collections, we can find catalogues from exhibition, and from auctions, art reference works, incunables, specialised periodical publications, etc. They can also have collections of value for the artistic research of a country, press archives, posters, pocket catalogues, exhibition invitations, postcards, etc., that often remain hidden away. So as to facilitate access to a unique and very specific collection, the museum libraries provide services such as: bibliographical information, interlibrary loans, service for obtaining documents, user training, newsletters with the latest bibliographical news, databases, announcements, guides for the use of resources or reading guides, and carry out activities such as online or onsite bibliographical exhibitions, reading clubs, BookCrossing, talks, meetings with other professionals, etc. 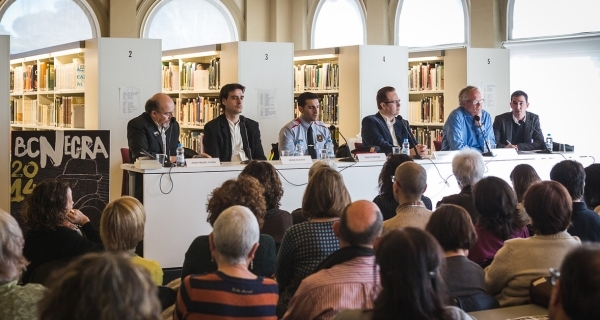 Session during BCNegra Festival (Crime Fiction) in the library. Internet and the social networks have helped to a great extent to spread this, but there is still a lot to do, as, for example, to form a more active part in the institutions to which they belong and to attract the visitors from the museum, to which the library can be used to get to know the collections better, or simply to use them to enjoy art. Reading room of the Library, Museu Nacional d’Art de Catalunya. The Library has more than 100 years of history and has become one of the most important in the country. Since its beginnings it has been key in terms of the documentation of the artistic heritage of the city of Barcelona. In the catalogue you can consult more than 150,000 bibliographic registers (between books and magazines), and one part can be freely consulted in the reading room. We foresee the optimisation and improvement of the resources so as to be more efficient. Some actions that will help us to achieve these goals are: to improve the service to the users, to make the collection accessible by means of the digitisation of some documents (the future participation in the Digital Memory of Catalonia, the production of virtual exhibitions for the website of the museum, etc. ), to attract new audiences thanks to the visibility provided by the social networks and Internet, and to foster the library-museum collaboration, as well as between the library and the universities and schools. With these actions (and many more) we will keep on working so as to continue being a key reference for the study and documentation of art and to widen the social use. Do you think the museum libraries are well known enough? Are you a user? 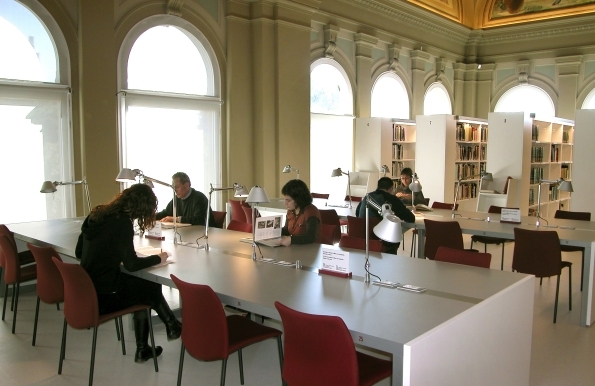 Do you know the Library of the Museu Nacional and its collection?